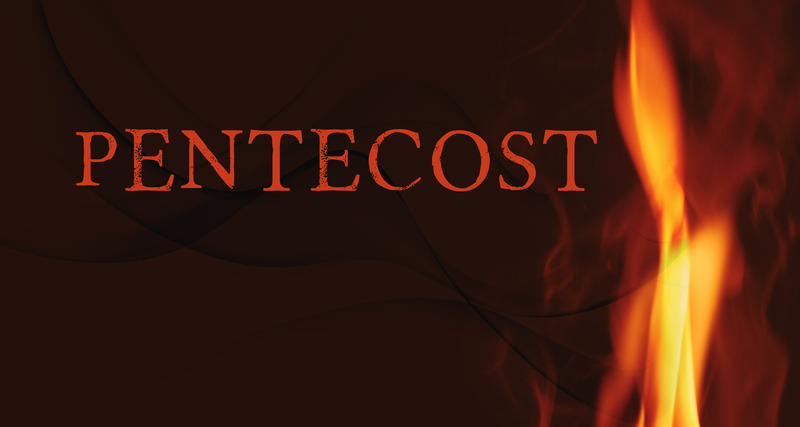 Pentecost: The beginning of the church? I grew up in the tradition that the church began at Pentecost! Until the outpouring of the Holy Spirit spoken of in Acts chapter 2, there was no ‘church.’ Never mind the previous four thousand years! Don’t concern yourself with Abraham, Isaac and Jacob. The church was ‘born’ on Pentecost, and we are special. We replaced all those who came before; including, apparently, all of the apostles and holy men from the beginning of time. We are the ‘New Testament church.” Christianity was born at Pentecost in the Upper Room! Stop! Are you sure? Isn’t it time to examine our understanding of the church? I hope you have taken a few minutes to read the previous article on Shavuot. (Shavuot or Pentecost?) Regardless of how we understand the calendar, this article will challenge our perception of what actually happened on the Shavuot following the Crucifixion. It is described in Acts Chapter Two. Let’s agree that Pentecost and Shavuot are the same day with different names, and different understandings depending upon if viewed from a Hebraic or Christian lens. Do we have an accurate idea of where this event happened? Do we understand the significance? Was it something unique and extraordinary? Is that when everything changed? Chaim Goldman has a teaching called the Upper Room Conspiracy. I have heard him teach this message a few times now, and it never gets old. Every time I hear it, I get another insight into how easily we can accept something as a ‘given’ without really testing our understanding. We all learn that the ‘Last Supper’ was held on ‘Passover’ in an Upper Room. There is an abundance of detail here that it would be good to explore, but I am going to concentrate on the ‘Upper Room’ part. When we read the gospel account of the night he was betrayed. We learn that the apostles joined Yeshua in an upper room. It was there that he shared the bread and the wine and renewed the covenant with them. It was ten days following Yeshua’s ascension into heaven (after forty days of walking among them after his resurrection) that the Feast of Shavuot (Pentecost) was observed. It all adds up to fifty as required by the counting of seven Sabbaths! Traditionally, all the believers went to the ‘House of Prayer’ (i.e. the Temple mount) to celebrate this Feast of Shavuot, or Feast of Weeks. This brings us to Acts Chapter Two. That is when the Ruach (Holy Spirit) was poured out like flames of fire that settled on the disciples. All the multitude that heard the commotion came together and each understood in their own language. We then learn that 3,000 people (Acts 2:41) believed and were baptized (mikvehed) on that very day! HOW WERE 3,000 ABLE TO HEAR AND BE BAPTIZED IN AN UPPER ROOM? Again we have listened to tradition so long that we are confused by what we read. We mentally supply a scenario that is not actually written in the text. Why do we assume that the ‘house’ spoken of in Acts is always the ‘upper room’ where the last supper happened? We have attached so much significance to that event (I am not suggesting it is not important!) that we fail to see that the scene has changed. Act 2:1 And when the Day of the Festival of Weeks had come, they were all with one mind in one place. Why do we make the leap that the one place the disciples were gathered was in their temporary apartment house? It was the FEAST! They would not be sitting in an ‘upper room’ anywhere waiting for the festival to begin! They would be gathering with their brethren as they did every year since they could remember – In the Temple! Where would all the ‘devout men, out of every nation under heaven’ be on Shavuot? Peter gives us the exact time of this event! WHAT HAPPENS AT THE THIRD HOUR? Only when we understand the Temple service do we catch the significance of the third hour on Shavuot! Morning Prayers were offered at 9 a.m. (the third hour!). Where would all of these ‘devout men’ be at 9 a.m. on the Feast Day? The Temple, of course! They were from many nations because it was the Feast. It is Shavuot, a pilgrimage feast for all ‘devout men!’ They were commanded to be at the Temple on this day! Certainly at this hour they would be there for the morning Temple service. How else could they hear the ‘rushing mighty wind’ and see the manifestation of ‘cloven tongues of fire’ that settled on each of the disciples that were filled with the Ruach? Oddly enough, I always believed there were only twelve disciples, and they were all men! But, according to Luke’s account in the Book of the Acts of the Apostles, that isn’t true. Read it! Act 1:14 These all continued with one accord in prayer and supplication, with the women, and Mary the mother of Jesus, and with his brethren. 15 And in those days Peter stood up in the midst of the disciples, and said, (the number of names together were about an hundred and twenty,)! It just struck me that it was not twelve, but ten times twelve! Ten is the number of perfection! It is the number associated with Yod (Hebrew letter for the Right Hand of God/ the Spirit, and the number Ten)! Isn’t that exciting?! WAS THE UPPER ROOM A DORMITORY FOR MEN AND WOMEN? It would have had to be an awfully large dormitory for one hundred and twenty people to stay there! The New Testament is not a fairytale. It is all based on actual events! Besides, especially in a first century culture, men and women would never have been staying in the same room, ‘upper’ or otherwise! It was a place to sleep! It was where they stayed (dwelled) during the feast. Remember the story of Yeshua’s birth? Remember that Joseph and Mary stayed in a ‘stable’ (probably a sukkah) because the inn was full? When millions of people ‘go up’ to the Feast places to stay are sure to fill up fast! It isn’t like there was a Motel on every corner! WHERE WOULD THEY GATHER IN ONE ACCORD? It seems unlikely that they gathered in a temporary dormitory, on a Feast Day, at the hour of Morning Prayer, with One-Hundred and Twenty men and women! Not only would it have been unlikely, it would have be crowded and separated from everyone who came up to Jerusalem for the Feast! I don’t know if you have had the great joy of gathering together with like-minded believers on one of the LORD’s Feast Days, but, a tiny ‘upper room’ separate from where the action was going on would be a disappointment. I don’t mean to sound flippant, but this was a joyous occasion! Who would want to miss the fellowship with everyone of the House of Israel (no matter what tribe or lineage!)? It would be akin to staying locked away in your house on the 4th of July! Why would you want to miss out on the fireworks? And, in typically miraculous style, YHVH poured out His Ruach in a public place (the Temple) with the sound of a rushing wind and cloven tongues of fire upon the One Hundred and Twenty Disciples gathered there! It was not missed, even among the hundreds of thousands that were there for Shavuot! Three Thousand heard and believed! Do you remember how 3,000 Israelites were swallowed up and killed following the golden calf incident? Is it a coincidence that 3,000 were grafted back into His House on the Anniversary of when the Ten Commandments were given to us? In YHVH’s economy, I think there are no coincidences. PENTECOST: TO UNITE OR DIVIDE? 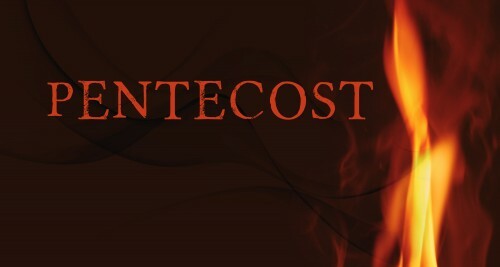 All of my life, Pentecost has been the event where the old ways died and the new ‘church’ began. How can that be? You may think that discovering where this event happened is unimportant, yet without a complete understanding of who, what, where and when, Pentecost has become a point of division instead of unity. The reporting is faulty! The Christian church has usurped this event to claim it as a ‘new’ thing. It is the cornerstone of Replacement Theology. The further we are removed from the Temple and the Torah, the more error is allowed. And error is what places a wedge firmly between the House of Judah and the House of Israel! When do we first see the word ‘church’ in the Bible? So, do we toss away our Bibles? Heaven forbid! We are the beneficiaries of men like Tyndale that were martyred in order that we might have a Bible in our hands! Once the Scriptures were translated into many different languages, the next thing we see are deliberate and accidental translation errors. Even though Tyndale refrained from the word ‘church’ with regard to the assembly of believers, other Bible translations did not see this connection with paganism. Nor should we fly off the handle about it. But we do need to understand the difference. Without going into too much detail, suffice to say that the original ‘church’ (qahal in Hebrew) was the called-out assembly or congregation we see in the wilderness with Moses. The Gospels are written in Greek, and they use a different term: ekklesia. Both qahal (Hebrew) and ekklesia (Greek) describe the same body of believers that Tyndale called the congregation. We are used to seeing translation errors in our Bibles. How much does it really matter that the assembly at Mt. Sinai was called one thing in Hebrew and the believers in the New Testament are called something else? There is an excellent article online called “Finding the Church in the Old Testament.” I recommend it to you. It does a good job of tracing the appearance of the ‘church’ from the Old and New Testaments. The article goes on to say this! “The parallels between I Peter and the Old Testament books of Exodus, Deuteronomy and Hosea are another example of God showing no differentiation in His Word between Old and New Testament saints. By addressing the scattered congregation with the same titles as used in the OT Peter demonstrates that they share the same blessings and designations as the multitude on Mount Sinai. THE CHURCH: BORN OR REBORN? Once we fully understand that Pentecost was not a ‘new’ thing, but the same commanded Feast that was established and codified in Leviticus 23, how can we come to any other conclusion? The (Christian) church was not born! YHVH’s assembly of called out people was Re-Born! It was a time of refreshing! Restoration! A re-birth of His Covenant with His People! Many people believe that Acts chapter two is the description of when the ‘church’ was born. But further reading should clarify some things. The entire chapter Seven of Acts is very revealing. Stephen, the first martyr of the disciples gives a profound testimony. I suggest you read it all to see that Stephen, certainly, had no confusion over the history of his people. When were the ‘living truths’ replaced by the ‘church?’ Truth is always truth or it is a lie. Did Stephen suffer a martyr’s death for the church? Or to proclaim the Truth? WHEN WAS THE CHURCH REBORN? What happened when the Ruach fell upon the disciples? He sent the Ruach to be their guide and comforter, didn’t he? Isa 58:11 And the LORD will guide you continuously, and satisfy your soul in parched places, and they will strengthen your bones; and you’ll be like a watered garden, like a spring of water, whose waters never fail. Yeshua told His disciples, “If you love me, keep my commandments.” Was he only referring to his instruction to stay in Jerusalem for the next Feast Day of Shavuot? There are so many parallels between the Mt. Sinai event and that of Acts Chapter Two. Compare and read them. It is like the Father placed huge signposts up so that we could not fail to see the connections! Speaking in tongues! Hearing the Voice from Mt. Sinai in their own languages! Flames covering the mountain amidst loud trumpet blasts! Flames and a rushing wind in the Temple! Three thousand lost and three thousand restored! Shavuot when the Ten Commandments were given to Moses! Shavuot when the divine empowerment to follow His Law was given to the disciples! The echo of Mt. Sinai was resonating in the Temple! Stephen was not confused! He added to the many times the Exodus event is discussed in the New Testament. Why, then, do we insist that Mt. Sinai has no bearing upon us today? I BELIEVE THE CHURCH WAS BORN ON SHAVUOT! Do you think that the ‘church’ was born on Shavuot? I do too! But, I choose the first Shavuot at Mt. Sinai! The Assembly of set-apart people, the nation of kings and priests, also known as the House of Israel, was born at Mt. Sinai and it was restored two thousand years later on Shavuot. HalleluYah! For further study, I recommend the DVD: The Upper Room Conspiracy, available at AROODAWAKENING.TV. I also recommend The Chronological Gospels, the Life and Seventy Week Ministry of the Messiah, by Michael Rood. Both resources cover this event in greater depth.